Established in 1937, the National Maritime Museum (NMN) in Greenwich, England is one of the largest museums in the world on this theme and one of the most popular attractions in the UK. Along with the NMN sit the The Royal Observatory, which happens to the epicenter of Greenwich Mean Time (GMT), and The Queen’s House, the birthplace of British architectural Classicism. Today, NMN is launching a new identity for all of its attractions, designed by London-based Someone. 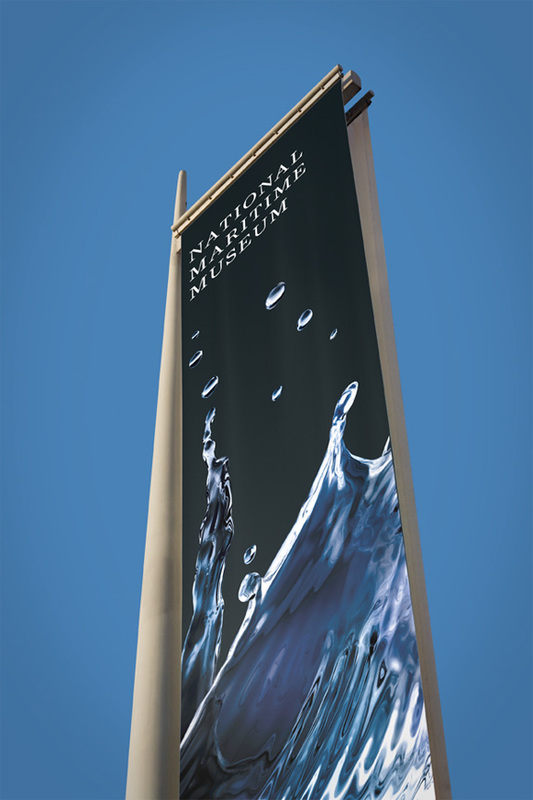 We wanted to make as big a splash as possible for the Museum, so we decided to create a 21st century image rendered entirely in CGI which would give us the opportunity to animate and light it, creating a flexible brand world that could evolve and adapt over time. 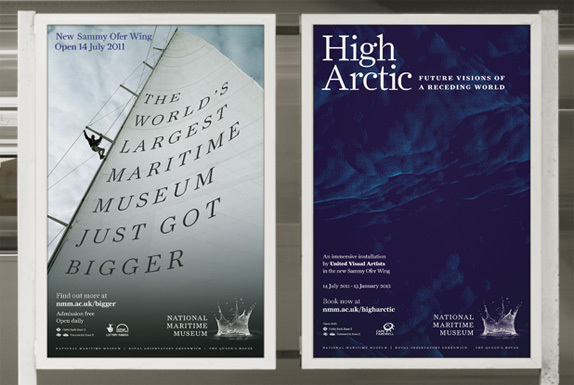 We created an entirely bespoke “splash” that we then lit with different colours to make individual splashes for each of the three sites — sea blue for the Maritime Museum, gold for the Queen’s House and Royal purple for the Royal Observatory. The best part is that people see different things in the splash — some see a crown, others see a ship, there’s even a star constellation amongst the droplets. We decided that it would be more reflective of the diverse offer of the group to keep these elements subtle, so you see a splash first and foremost, then maybe something else at a second glance - like seeing shapes in clouds. The old logos weren’t that bad, especially the Royal Observatory and Queen’s House logos and they made a nice typographic family together. But they were decidedly quaint. Picking up where they left off with Eurostar, SomeOne has created a fully CGI rendered identity in the form of a splash. When I first saw this I had a double gut reaction: “Corny,” “but, wow, cool”. I couldn’t help of thinking of those motivational posters that say “Peace” or something like that. But then thinking about it as being a logo I was quite fascinated with the drastic effect it might have. 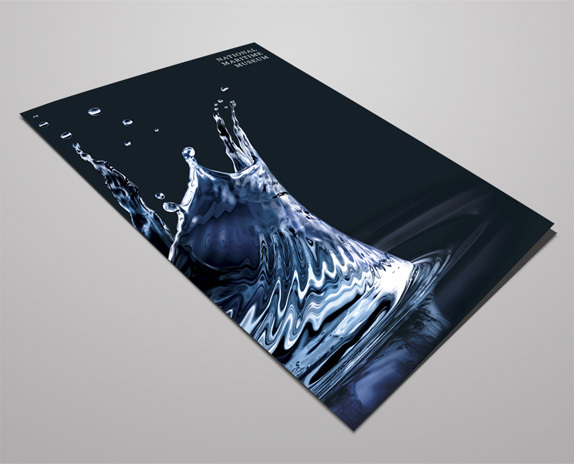 I also immediately made the connection to water and royalty, themes of this cultural campus, as the splash does look like a crown. The super contemporary “icon” is nicely offset by the use of the more classical Farnham typeface by Christian Schwartz. The applications, interestingly enough, are pretty tame and follow the conventions of old school identity-making: take the icon and blow it up big. Except that in this case, the blown-up detail is of a logo that would make renderers at Industrial Light & Magic quite proud. SomeOne has been tasked with implementing the identity and marketing on the first year, which quells any concerns about how this complicated identity is applied and executed. In the hands of the originators of the design there is no need to worry about whether the identity will fax or not, SomeOne will make sure it does. At times the applications still have that corny effect where it’s just an almost superfluous splash of 3D water but the potential in this identity is pretty exciting. 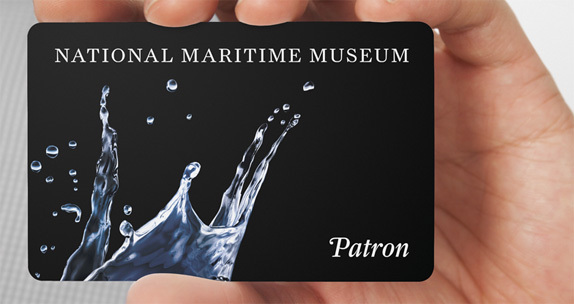 Established in 1937, the National Maritime Museum (NMN) in Greenwich, England is one of the largest museums in the world on this theme and one of the most popular attractions in the UK. Along with the NMN sit the The Royal Observatory, which happens to the epicenter of Greenwich Mean Time (GMT), and The Queen's House, the birthplace of British architectural Classicism. Today, NMN is launching a new identity for all of its attractions, designed by London-based Someone.